There's no better way to build confidence than with a TT-R! Designed with new riders in mind, the TT-R125LE features lightweight construction, electric start and smooth, predictable power delivery. 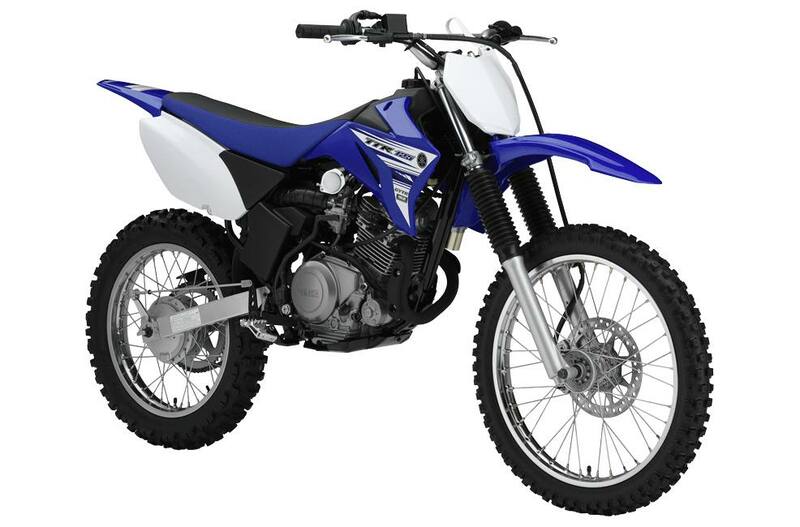 Power: Potent, air-cooled, 124cc, SOHC, 2 valve, 4-stroke powerplant produces broad, torquey power tuned for maximum, novice-friendly off-road performance… perfect for a wide range of trail conditions. Electric Start: Convenient push-button electric starting backed up by a manual kick starter too. Frame: Rigid, diamond-type, steel frame features a 1,270mm (50") wheelbase providing quick, agile, off-road handling. Rugged, plastic engine skid plate helps to protect against rocks and logs. 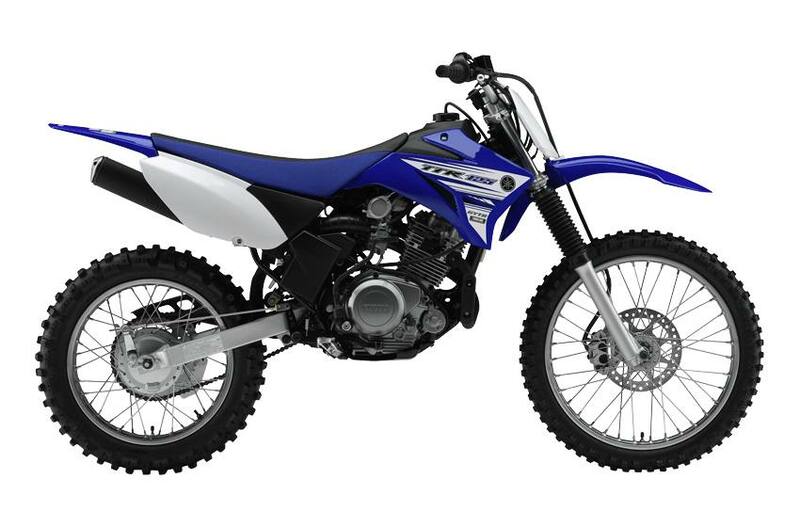 Motocross style handlebar utilizes a crossbar for added strength. Handlebar-mounted, key-operated ignition switch prevents unwanted joy rides. Folding foot pegs, folding shift lever & folding brake pedal tip resist damage in the event of a tip-over. Convenient lift holes in right side cover makes lifting the bike easier. Brake and clutch lever rubber covers help reduce dirt & mud build-up. 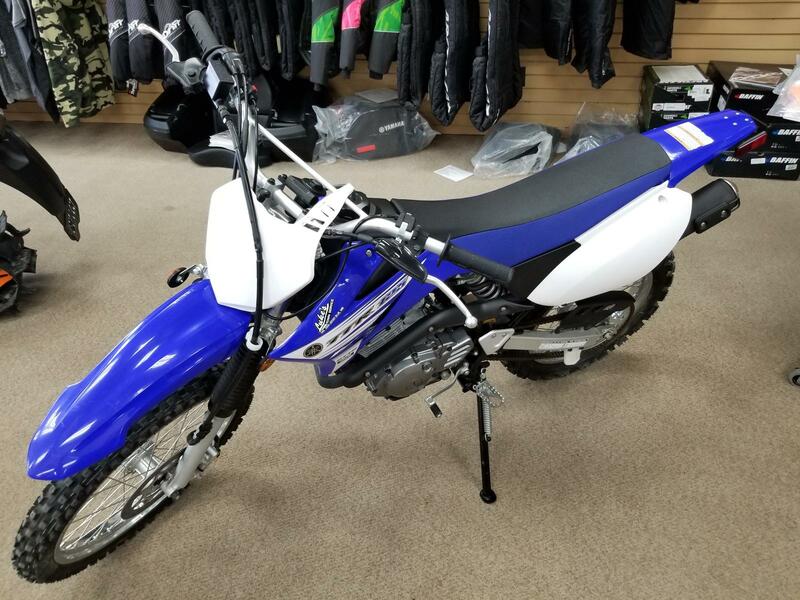 Important Note: Adult supervision and proper protective riding gear, including a helmet & eye protection are a must when a youngster is operating a TT-R125LE.